Ron Negray, a former pitcher with the Brooklyn Dodgers, passed away November 8, 2018, in Akron, Ohio after a brief illness. He was 88. Negray signed with the Dodgers in 1949 after briefly attending Kent State University. Although only 19 in his debut season, he looked like an experienced veteran with a 21-6 record for Class D Valdosta. Over the next three years, Negray battled his way up the crowded ranks of Brooklyn’s farm system en route to the major leagues. The Dodgers finally reached for Negray once their roster expanded in September 1952. Fresh off an 11-7 performance with their Triple-A club in St. Paul, Negray entered a Brooklyn clubhouse anonymous to a Hall of Fame roster. After pitching a scoreless frame, he returned for the fifth to stare down the power-hitting Ted Kluszewski. With his bulging biceps exposed by his cut-off sleeves, Big Klu cut an intimidating figure just by standing in the batter’s box. Negray left the game unscathed, hurling three clean innings in relief. He made another three appearances for the Dodgers down the stretch, pitching 13 innings without a decision. As the Dodgers rejoiced for yet another opportunity to play in the World Series, the team skipped over Negray when they distributed watches to celebrate their National League victory. One teammate however, went out of his way to ensure that Negray felt like one of the regulars. After his sip of big league coffee, Negray stayed in the Dodgers minor league system until he was traded midseason in 1955 to the Philadelphia Phillies. He spent the remainder of 1955 and the entire 1956 campaign with Philadelphia on their big league roster. 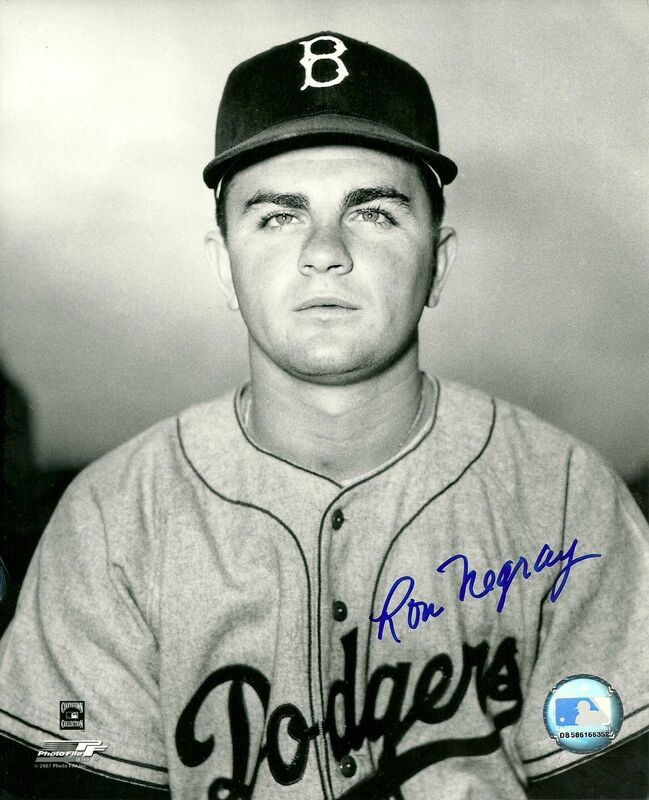 The Dodgers reacquired Negray in 1957 as part of the Chico Fernandez trade. While he did not return to the majors for the Dodgers' farewell in Brooklyn, he made history when the team moved to California. When the Dodgers and the San Francisco Giants squared off at Seals Stadium on April 14, 1958, it marked a frontier for baseball’s westward expansion. Both teams left New York to build a new legacy, and Negray made his mark on the inaugural contest. Appearing in relief, he pitched the final two innings in the Dodgers’ 8-0 loss. At the time of his death, he was the last player alive from the Dodgers lineup that groundbreaking day. The Dodgers sent Negray back to the minors a month later, never again to return to the big leagues. He finished his career in 1963 after 15 seasons in professional baseball. Negray stayed close to the game by selling uniforms and athletic equipment to local high schools for 34 years until his retirement. His death leaves only 18 living Brooklyn Dodgers alumni.